Sense and Sensibility at 200. This year marks the 200th anniversary of the publication of Jane Austen’s Sense and Sensibility. 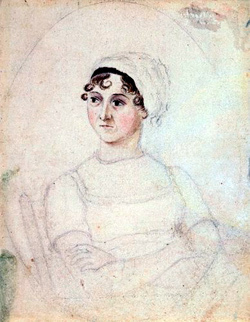 Two hundred years is a long time, and much of the appeal of Jane Austen lies in how long ago she wrote. Every year the Jane Austen Society of North America (JASNA) meets in a major city and stages a series of events that recreate that long lost world. There’s a bonnet-making workshop and a Regency-style ball, and everyone marches around in archaic fancy dress. All of this strikes an appealing note to those of us who find the modern world chaotic and unmannerly, who wish that we could take tea at the right hour (if only someone could brew a proper cup) and think we would all look much better in Empire gowns.